What is 5G Technology? And Specifications? Home Articles What is 5G Technology? And Specifications? 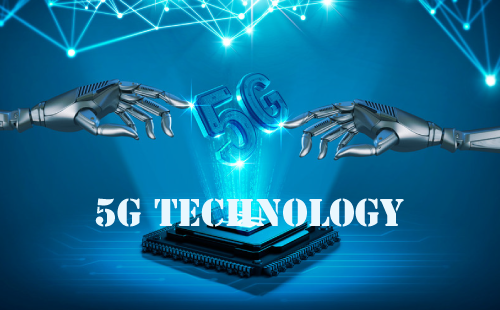 Today, most of the IT peoples are discussing about 5G Technology.5G technology is the modern next generation wireless technology.The market expects the first commercial 5G offerings to launch in 2019. Below are what is 5G technology and specifications? 5G is the Next Generation Mobile Technology (Short 5G-5th Generation). 5G mobile network performance is much higher than previous mobile networks, such as 4G and 4G LTE+.Currently,4G LTE is operating on frequency spectrum between 2 GHz to 8 GHz. 5G technlogy will use these frequencies spectrum as well as the higher band between 24 GHz and 100 GHz. 5G Technology researches began at 4 years ago, and many companies are pleased with the possibility of using the mmWave spectrum for 5G.This Mmwave (MMW) works at a high frequency band (30 GHz to 300 GHz). That’s why the 5G is considered a millimeter wave technology. 5G peak data rate: 20Gbps downlink and 10Gbps uplink. The new 5th generation is based on lower cost; decrease battery consumption and lower latency than 4G system. 5G networks have been designed for a smart world such as smart cities, smart healthcare, and driverless cars, transportation and most important concept of IOT. One precedence for the design of 5G networks is to lower barriers to network connectivity for IoT devices. Many big companies like Verizon, AT&T, China mobile, sprint, Samsung, and Nokia, among many others, are already investing huge money in this latest wireless system.AT&T plans to release cell 5G in the US this year, Verizon says it will release 5G for homes, and each T-Mobile and Sprint say that they’re launching 5G telephones early next year. LTE-A Pro objectives to increased the data speeds and bandwidth to be had for cellular communications. It will also bring a far wider range of connected gadgets and structures under a single standard. LTE-A Pro will do the same and put together for 5G. 5G NR (New Radio) is the new general for 5G wireless technology capable of much faster, efficient and scalable network. 5G NR technology will enable to connect to many things inside the surrounding with low latency and lighting speed. The 3rd Generation Partnership Project (3GPP) in December 2017 completed standards for the 5G New Radio needed for fixed broadband wireless. The real 5G radio system, called 5G-NR, might not be compatible with 4G. But all 5G devices, to start with, will need 4G because they may lean on it to make initial connections before buying and selling up to 5G where it’s available. Qualcomm, verizon, and novatel wireless announced plans to collaborate on 5G NR millimeter wave technology improvement or development in October 2017. In August 2018, Verizon and Nokia test 5G NR call mobility: Nokia and version have successfully tested a 5G new radio(NR) call in a vehicle moving between two sectors.